Right after giving out your “Save the Date” cards, it is an unsaid rule for your besties to religiously start searching for the perfect sangeet songs. These are the songs that best describe your love story and you relate to each and every bit of the lyrics. To help you cut short on the brainstorming sessions, we have created a playlist for you and no, “bole chudiya” does not feature in this list. If you had a hard time convincing your girl, this song will pour your heart out! To add that quirky flavor amidst drama and emotions. For the brides who are close to their brothers. A dance on this number will be the surprise gift for your bros who take all the trouble to make your wedding a success! Declare your love for your ‘saajan’ with this number. Time for the groom to flaunt his dancing skills. This song will definitely get the audience swaying to the lyrics which were once on the top of their playlists. 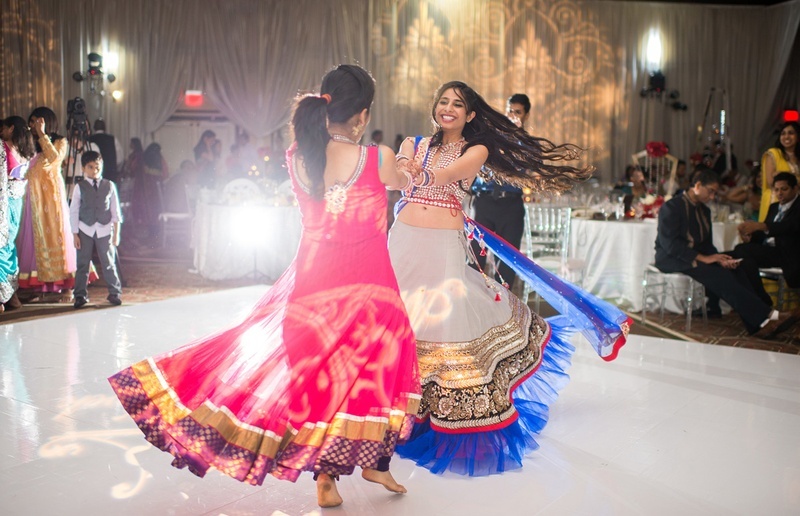 A well-choreographed dance number on this song will definitely make your bride blush. Once a youth anthem, a dance number for the groomsmen on this song will be an instant hit. For the bindaas friends of the brides out there. These beats are sure to get you grooving! A song that needs no introduction. We’re sure you still haven’t forgotten Divya’s moves. Admit it, you’ve seen yourself dancing in front of the mirror to at least one of these songs.